what you feed your mouth and what you feed your mind. Worry kills. Stress is the number 1 killer in the world. Change your psychology; change your physiology. Stress is thoughts. The antidote for stress is to trust God. You don’t have to forgive abruptly. You can make it a journey Especially if you've been hurt deeply. It’s okay to be angry because anger has a purpose. Anger is an expression of self-love. It is a part of the healing process. However, anger has an expiration date. If you hold anger too long in your heart, it can kill you. Forgiveness is the greatest cleanser and toxic remover in the world. Forgiveness should be a habit, because everyday you’re going to get hurt. Because everyday your defenses are down with people you love. Because you expect to receive love in return. You need to prioritize love. Put love in your calendar. See to it that you spend more time with the people you love. A medical study shows people who lack strong social relationships increase their risk of early death by 50%. This is almost the same risk percentage as those who smoke 15 cigarettes every day. Divorced people end up with 20% more chronic health conditions like heart disease, diabetes, and cancer than happy married couples do. Being human, your greatest need is love. Live from glory to glory to glory. Told that he had little chance of surviving, Norman Cousins, an American political journalist, author, professor, and world peace advocate developed a recovery program incorporating mega doses of Vitamin C, along with a positive attitude, love, faith, hope, and laughter induced by Marx Brothers films. "I made the joyous discovery that ten minutes of genuine belly laughter had an anesthetic effect and would give me at least two hours of pain-free sleep," he reported. "When the pain-killing effect of the laughter wore off, we would switch on the motion picture projector again and not infrequently, it would lead to another pain-free interval." Laughter is a deep human need, that’s why we tend to gravitate towards people who make us laugh. a. Smile often. You don’t need a reason to smile. b. Spend time with fun people. Get rid of the grouches. Don’t postpone your vacation because you’ll never know how long you're going live. Never retire from serving without a title. A 30-year study was conducted among mothers. The healthiest of them are those who render volunteer works. Life is short no matter how long you live. Start living a healthy life now. From The Biggest Winner (Heal. Eat. Move. Live.) series at the Feast. Attend The Feast and be more blessed. Click here. 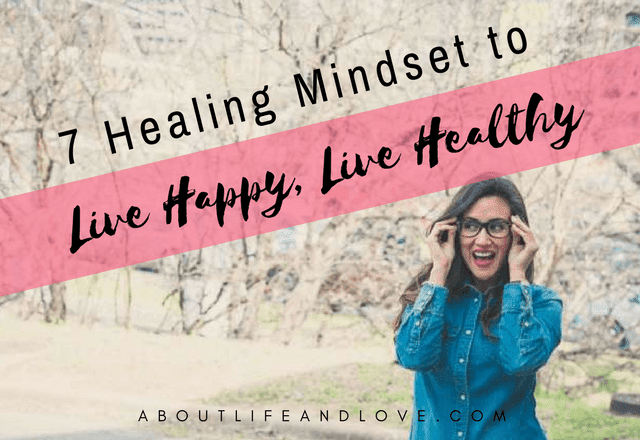 Welcome to our Wellness Wednesday Linky Party and thank you for joining us this week :D This is a spot on post about living happily and healthy too. It does starts from the inside out. Do join us again next week. Thanks for sharing great ideas to have a healthy and happy lifestyle. My brother always recommends me to be happy and make others happy. There are different ways to happy, but one of the most powerful options is volunteering, Whereas volunteering helps to provide beneficial aid and service to your community. Thus he suggested me to navigate here to help others through volunteering and make others happy by helping them.